Luxembourg City, Luxembourg to Los Angeles is an approximately 16-hour flight. You can also do a combination of bus, train, and flight; or do a combination of train and flight. Traveling from Luxembourg City to Los Angeles, you'll gain 9 hours due to the time zone difference. Traveling from Luxembourg City in July, things will get somewhat warmer in Los Angeles: highs are around 33°C and lows about 22°C. Finish your sightseeing early on the 27th (Sat) so you can drive to Santa Barbara. Kick off your visit on the 28th (Sun): savor the flavors at Food & Drink. To find maps, photos, ratings, and other tourist information, read our Santa Barbara visit planning website . Traveling by car from Los Angeles to Santa Barbara takes 2 hours. Alternatively, you can take a bus; or take a train. Expect a bit cooler temperatures when traveling from Los Angeles in July; daily highs in Santa Barbara reach 28°C and lows reach 18°C. Finish your sightseeing early on the 28th (Sun) so you can drive to Monterey. 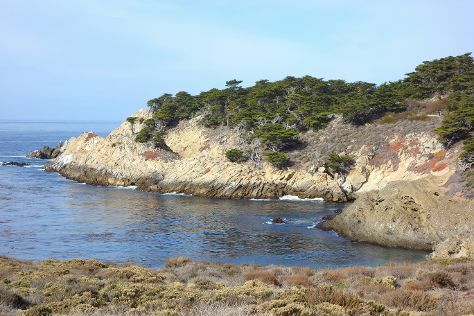 Monterey is a city in the U.S. On the 29th (Mon), stroll through Dennis the Menace Park, then look for all kinds of wild species at Point Lobos, and then don't miss a visit to Pacific Grove Oceanview Boulevard. Traveling by car from Santa Barbara to Monterey takes 4.5 hours. Alternatively, you can fly; or do a combination of flight and shuttle. In July, Monterey is little chillier than Santa Barbara - with highs of 24°C and lows of 15°C. Wrap up your sightseeing on the 29th (Mon) to allow time to drive to San Francisco. 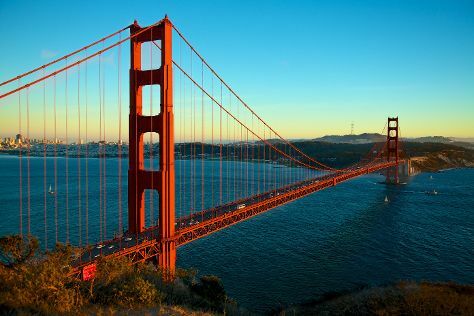 On the 30th (Tue), take in the views from Golden Gate Bridge, head off the coast to Alcatraz Island, and then contemplate the waterfront views at San Francisco Bay. To find maps, where to stay, traveler tips, and tourist information, use the San Francisco online day trip planner . You can drive from Monterey to San Francisco in 2.5 hours. Alternatively, you can fly; or take a bus. In July in San Francisco, expect temperatures between 26°C during the day and 16°C at night. Finish up your sightseeing early on the 30th (Tue) so you can go by car to South Lake Tahoe. Kick off your visit on the 31st (Wed): kick back and relax at Lakeside Beach, kick back and relax at Nevada Beach Campground, and then admire the majestic nature at D.L. Bliss State Park. To find more things to do, reviews, and more tourist information, go to the South Lake Tahoe road trip planning app . Drive from San Francisco to South Lake Tahoe in 3.5 hours. Alternatively, you can do a combination of subway, flight, and bus; or do a combination of flight and bus. Traveling from San Francisco in July, you will find days in South Lake Tahoe are somewhat warmer (32°C), and nights are a bit cooler (9°C). Cap off your sightseeing on the 31st (Wed) early enough to travel to Yosemite National Park. Start off your visit on the 1st (Thu): hike along Mariposa Grove of Giant Sequoias, get answers to all your questions at Yosemite Conservation Heritage Center, and then take in the dramatic natural features at Glacier Point. On the next day, trek along Four Mile Trail, take in the dramatic natural features at Lembert Dome, and then don't miss a visit to Tuolumne Grove of Giant Sequoias. To see other places to visit, traveler tips, more things to do, and more tourist information, read our Yosemite National Park trip planning site . Traveling by combination of taxi and bus from South Lake Tahoe to Yosemite National Park takes 3.5 hours. 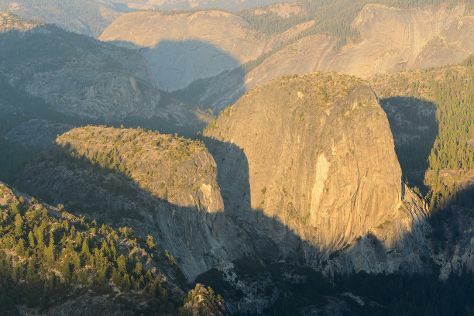 In July, daily temperatures in Yosemite National Park can reach 33°C, while at night they dip to 9°C. On the 3rd (Sat), wrap the sightseeing up by early afternoon so you can drive to Death Valley National Park. On the 4th (Sun), explore the activities along Badwater Basin, then contemplate the long history of Eureka Mine, and then explore the striking landscape at Zabriskie Point. For other places to visit, reviews, more things to do, and more tourist information, go to the Death Valley National Park road trip site . Traveling by car from Yosemite National Park to Death Valley National Park takes 8 hours. Alternatively, you can do a combination of car and bus. When traveling from Yosemite National Park in August, plan for a bit warmer days and warmer nights in Death Valley National Park: temperatures range from 43°C by day to 24°C at night. Wrap up your sightseeing on the 4th (Sun) early enough to drive to Flagstaff. Kick off your visit on the 5th (Mon): admire the majestic nature at Riordan Mansion State Historic Park, then examine the collection at Museum of Northern Arizona, and then identify plant and animal life at Lava River Cave. Get ready for a full day of sightseeing on the next day: explore the striking landscape of Coconino National Forest and then have fun at Flagstaff Extreme. To find other places to visit, reviews, where to stay, and tourist information, you can read our Flagstaff travel route planner. Getting from Death Valley National Park to Flagstaff by car takes about 6.5 hours. Other options: do a combination of taxi, bus, and flight; or do a combination of taxi, bus, and flight. Due to the time zone difference, you'll lose 1 hour traveling from Death Valley National Park to Flagstaff. Prepare for cooler weather when traveling from Death Valley National Park in August: high temperatures in Flagstaff hover around 29°C and lows are around 11°C. Finish your sightseeing early on the 6th (Tue) so you can drive to Grand Canyon National Park. On the 7th (Wed), stroll through Bright Angel Trail. Get ready for a full day of sightseeing on the next day: pause for some photo ops at Powell Point and then trek along North Kaibab Trail. To see maps, reviews, other places to visit, and more tourist information, use the Grand Canyon National Park trip planning website . Traveling by car from Flagstaff to Grand Canyon National Park takes 2 hours. 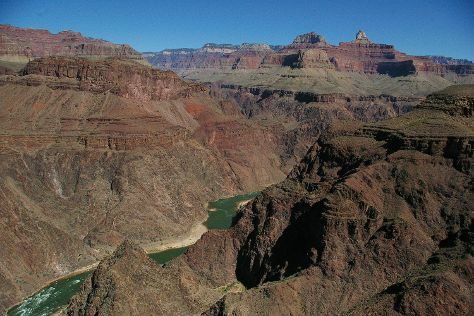 In August, daytime highs in Grand Canyon National Park are 31°C, while nighttime lows are 11°C. Finish up your sightseeing early on the 8th (Thu) so you can travel to Las Vegas. On the 9th (Fri), take an in-depth tour of Titanic, don't miss a visit to Welcome to Fabulous Las Vegas Sign, try your luck at Bellagio Hotel and Casino, then examine the collection at Madame Tussauds - Las Vegas, and finally enjoy some diversion at Battlefield Vegas. Here are some ideas for day two: look for gifts at Las Vegas North Premium Outlets, shop like a local with The Strip, and then make a trip to Bellagio Fountains. To see photos, maps, ratings, and more tourist information, you can read our Las Vegas route planning website . You can do a combination of flight and car from Grand Canyon National Park to Las Vegas in 4.5 hours. Alternatively, you can drive; or take a shuttle. The time zone changes from Mountain Standard Time to Pacific Standard Time, which is usually a -1 hour difference. Traveling from Grand Canyon National Park in August, things will get much warmer in Las Vegas: highs are around 45°C and lows about 29°C. Finish up your sightseeing early on the 10th (Sat) so you can travel back home.